Nina is 10 yrs old. She was a therapy dog to my son who was a ventilated quadriplegic. He passed away in July 2011. 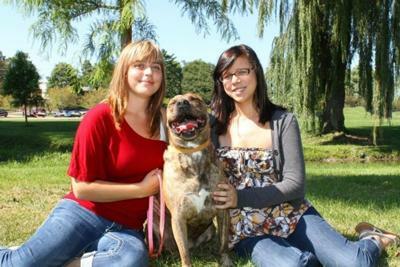 His good friend Caroline (in red)wanted her senior pictures taken with her.. so this picture is of Caroline and her sister and my dog Nina..